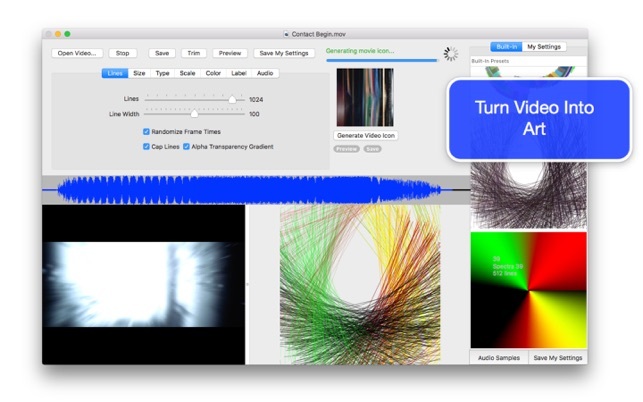 Spectra is an app to create computational art from video and audio on iOS and Mac. 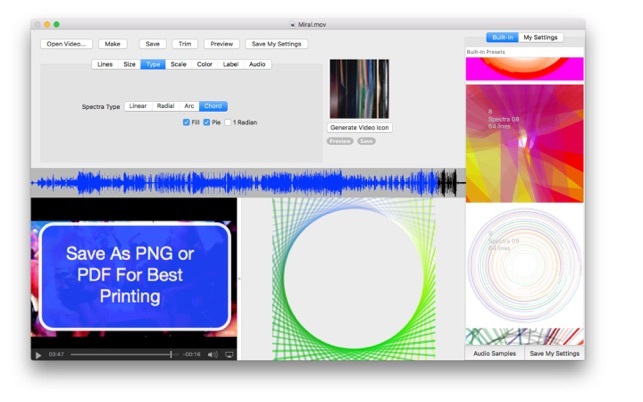 With built-in presets, video and audio samples you can generate cool art immediately! 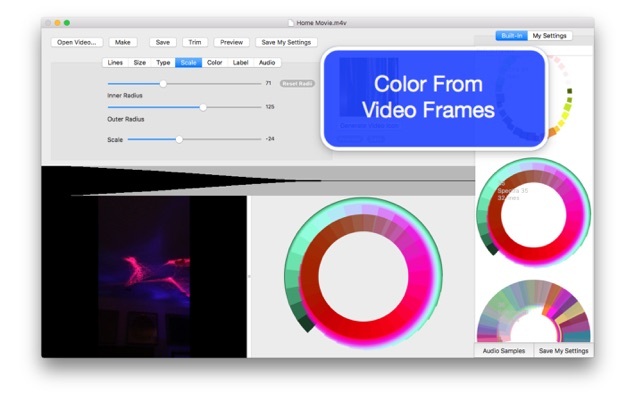 Then customize with your own settings, video and color palettes. 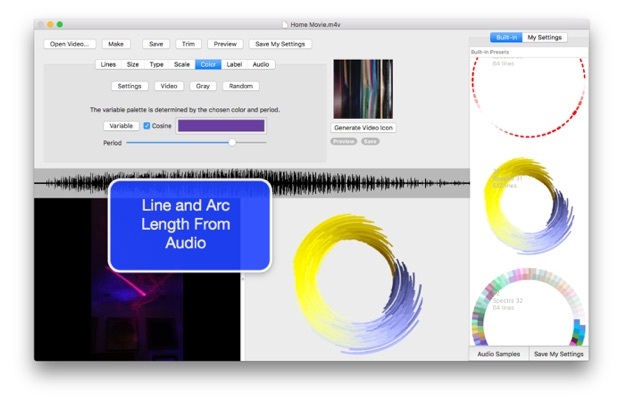 Video frames can be used for creating color palettes for drawing, and the audio is used to modulate line or arc length - the components of the paths Spectra draws. A new color palette generator is in the colors pane, where you also can quickly switch between video, settings file, variable, random or grayscale palettes. 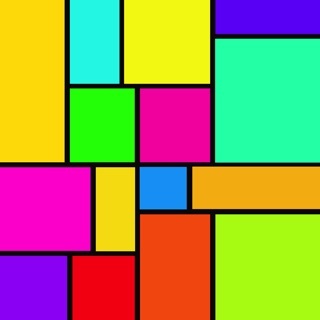 The variable palette generates color using a given color and a periodic trigonometric function. Generating colors in this way is fun with unlimited surprising results. Visit the website for many examples, a demo and screenshots visually elucidating the simple process to transform video to art. Using color and sound from videos various art forms are generated automatically with with attributes dependent on the values of user selected parameter controls. 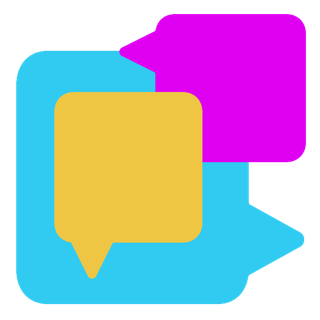 Use your device videos, screen recordings or your favorite theatrical movies as input. You can use the audio of the video, or load a separate audio file. The output can be printed from high resolution PNG images, or you can output the art as resolution independent PDF files to print at any resolution supported by a particular printer. Spectra can be used as a platform for educators to integrate mathematical computation with creative art. Although Spectra does not teach these concepts it can be used as a fun visualization and experimentation of key ideas of math. 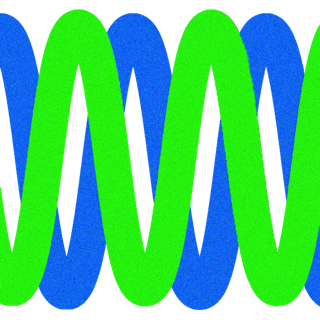 Each Spectra graphic is merely a path composed of lines, circle arcs and chords. Each part corresponds to a particular frame of the video and sound level at the same time. When using video as a color source every color is chosen as the average color of the frame. To get a better glimpse of the variety of art you can generate peruse our website 'Gallery'. 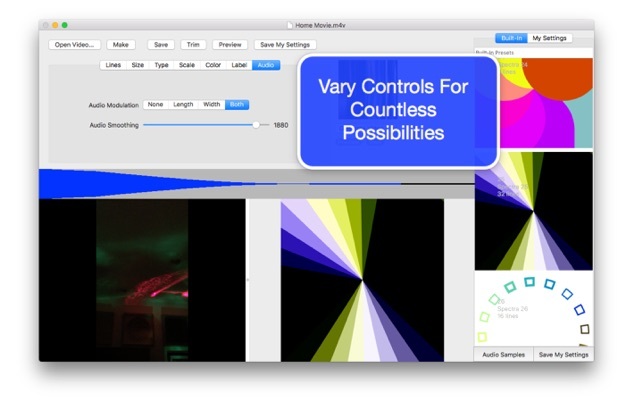 • Presets Table: Select from many control, color and sound settings sets. Then customize by changing the control, color and sound, say from another settings file. • You can save your settings, including the colors and audio samples for reuse on both platforms. • Audio Samples: Additional audio files are built into the app, in particular many presets contain sample audio. 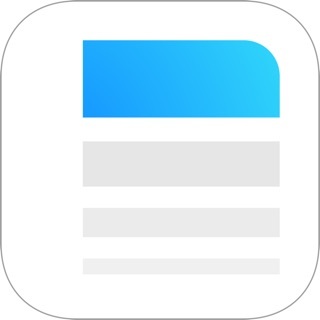 This enables you to use the app "out of the box." Maintenance update for latest macOS. New: Apply dash pattern to lines. Dash length and spacing is adjustable. Access from the Lines palette of parameters.